Second Harvest is proud to announce Marcia Ballinger, President of Lorain County Community College, as the Honorary Chairperson for the 2019 Harvest for Hunger campaign which will kick-off in March 5 and run through April. “Marcia has demonstrated many years of leadership, experience and commitment to this area and we are thrilled that she will be serving as the honorary chairperson for one of the most vital campaigns that we participate in each year,” said Julie Chase-Morefield, President and CEO of Second Harvest. Harvest for Hunger is an annual food and funds drive that takes place every March and April. Second Harvest organizes the campaign in partnership with the three other food banks in Northern Ohio serving a total of 21 counties. This campaign is the largest single campaign of its kind in the country and is a very crucial program for Second Harvest and the region. Giant Eagle, Heinen’s and Bueler’s are the cornerstone supporters of this campaign across the region through their CheckOut Hunger initiative in the stores at the cash registers. All the major newspapers, TV, cable and radios stations join in as media partners. All local companies, businesses, organizations and civic clubs are encouraged to run a campaign to support this effort. 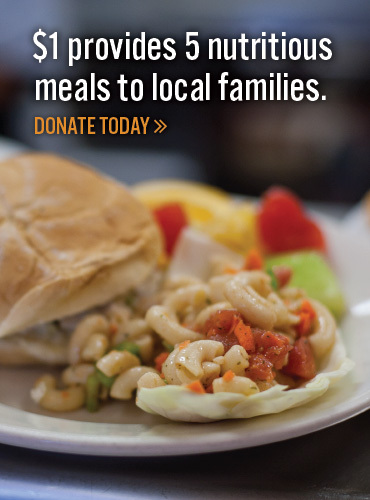 This year, our goal is to raise 1.25 million meals. Dr. Ballinger has more than 25 years in community college leadership roles that have advanced student success, workforce and economic development, strategic planning, and institutional advancement. Dr. Ballinger was named as the 5th President of Lorain County Community College July 1, 2016. She was also awarded the prestigious Aspen Presidential Fellowship for Community College Excellence. Under her leadership and deep commitment to student success, Lorain County Community College was recognized by the American Association for Community Colleges (AACC) as the 2018 Recipient of the AACC Award of Excellence in Student Success. Dr. Ballinger is passionate about empowering a thriving community where every student dream matters. She is a deeply engaged in the student completion movement at the state and national level serving in leadership roles for Completion by Design project funded by the Bill & Melinda Gates Foundation, Achieving the Dream and Jobs For the Future Policy Leadership Trust for Student Success. In addition to growing talent, Dr. Ballinger has provided leadership for the College’s economic development initiatives, which focused primarily on the needs and potential of entrepreneurs. Under Dr. Ballinger’s leadership, hallmarks of the region’s entrepreneurial ecosystem were developed and thriving today, such as: GLIDE, a regional technology incubator and the Innovation Fund, the region’s earliest pre-seed fund for start-up technology companies. Read more information about the Harvest for Hunger campaign HERE!